The Acquisition, Logistics, and Technology-Integration Office (ALT-IO) is a direct reporting unit to the Principal Military Deputy to the Assistant Secretary of the Army for Acquisition, Logistics & Technology and is the capabilities developer for ALT. Supports the ALT and operational contract support (OCS) related aspects of the CASCOM mission. The ALT-IO mission, in concert with the CASCOM and AMC, is to exercise control and coordination over all ALT/OCS issues and processes related to capabilities development for DOTML, standardizing ALT support, and OCS considerations in military operations. ALT-IO develops, oversees, and coordinates the integration of ALT and OCS concepts, doctrine, training and training support capabilities, tactics, techniques, and procedures into the Army’s and joint warfighting logistical planning and doctrine. ALT-IO also assists in the development and integration of ALT/OCS related Army, joint and DoD policy. Collocation within CASCOM and SCoE, along with the collocation of AMC's liaison office and Logistics Civilian Augmentation Program planner, collectively facilitate the SCoE-ALT community integration effort. 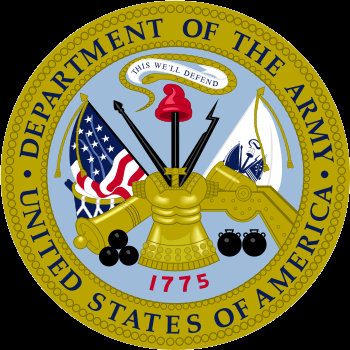 The Acquisition, Logistics and Technology - Integration Office (ALT-IO) is a direct reporting office to the Principal Military Deputy to the Assistant Secretary of the Army for Acquisition, Logistics and Technology. Collocated with CASCOM, ALT-IO acts as the preparing agent for numerous ALT and operational contract support (OCS) documents and training products. Additionally, the Director, ALT-IO is the Principal Deputy to the CASCOM Commanding General for ALT and OCS DOTMLP issues.